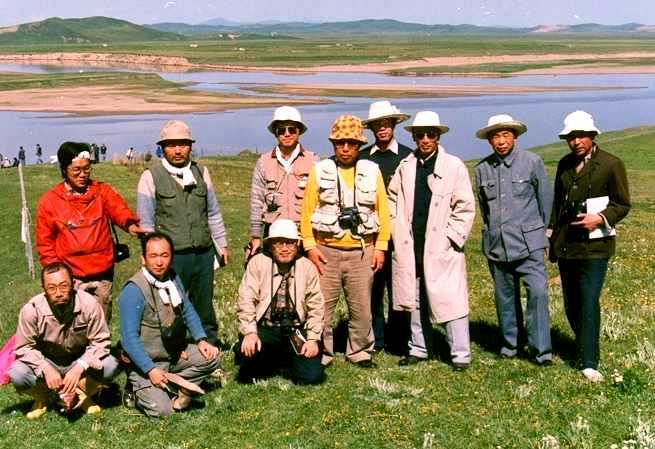 I began wetland researches after an overseas survey in the Sichuan Province of China, 1988. I was surprised when I knew that I had never written about wetlands in Japan until 2003. I think this is not so good when I knew this fact. So, I began wetland researches in Japan in 1995. The study site is Otanoshike wetland in Kushiro, eastern Hokkaido. But, that was a simple survey, i.e., the measurements of vegetation only. Thereafter, we measured methane flux in a Siberian wetland. I talk about wetlands sometimes in my lectures, and at that time I feel that the importance of wetland again and again, to protect nature. That was an annual meeting of Ecological Society of Japan at Hokkaido Branch. I was 1st grade of doctoral course. Prof. K of H University at K asked me: "You wanna go China?" I: I promptly replied, "Sure." In the summer of that year, I was on the largest wetland in China. 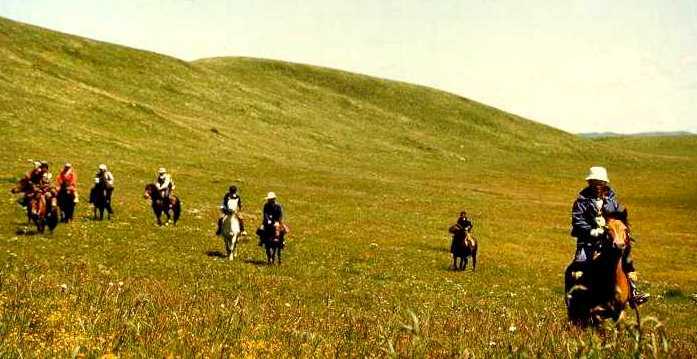 We went to the research site by riding horse once. Somebody fell off his horse. This is the start of my wetland research. That's all I did in Ruoergai. The research was postponed, due to Tiananmen massacre taking place in the year (1989). The first plan was going in summer, but we went in the season with leaf fall. It was cold, and most herbs were withered. I measured Larix (larch) and Betula (birch), because I could not do anything more (Tsuyuzaki 1994). Jinchuan peatland, commonly known as the West Dadianzi, is a peat swamp formed through the long evolution of volcanic lake，and is also one of the most scientific significant and ecologically protected wetlands in the Changbai Mountain region. The overall profile was nearly round, an area of 98.6 ha, 613-616 m a.s.l. The peat layer in Jinchuan West Dabianzi marsh is generally 4-6 m deep, and the thickest layer is nearly 9 m deep. According to the 14c-annual test results, the marsh development began in the early part of the new century, about 7,000 years ago. 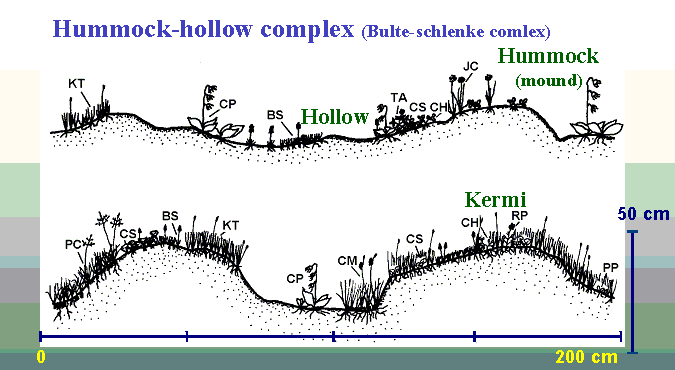 The main vegetation types are capsule moss community, oil birch - Papyocarpa grass community and oil birch - cotton Cyperaceae - peat moss community. 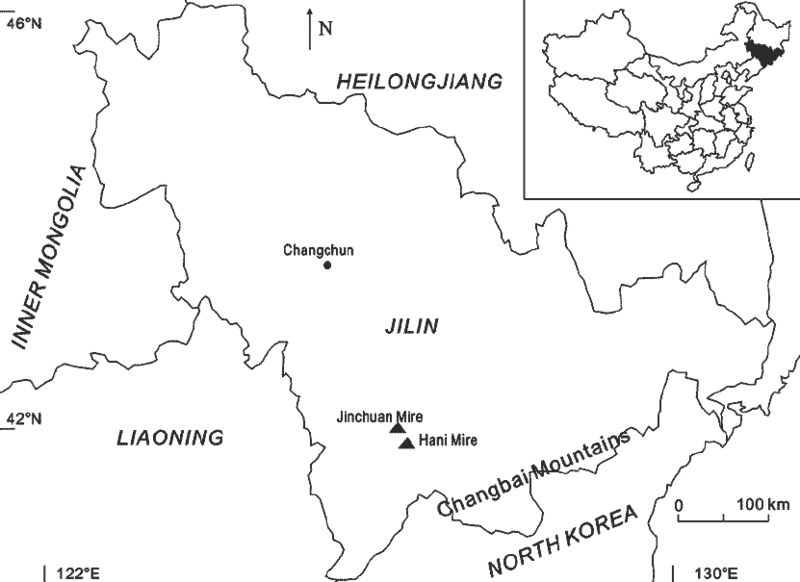 Jinchuan peatland has great significance and value of research in botany, ecology, zoology, geography, paleoenvironment and other aspects . It is a high-resolution peat layer which is evolved from the volcanic lake in China. It also has great value in the study of East Asian monsoon wind system change, northeast wind climate change and vegetation change process. At the same time, deep peat layer can store a lot of water, playing an important role in water conservation and regulating runoff. The perimeter of the peatlands has been partially reclaimed as farmland and the main part of the peatlands has been grazed. A part of peatland has been mined. Exclosure fences were set up for nature protection in 2004. The damages derived by all of the human activites and interferences are prohibited. I walked for a half of day, because I lost my way, (not for finding out wetlands, though). I remembered somebody said, "This is science!" We started revegetation patterns on Piceae mariata forests after severe wildfire in 2004. The progressive summary will be shown in a page "Fire Ecology". Also, we reported the forest-floor vegetation recovery (Tsuyuzaki et al. 2013) and seedling establishment patterns (Tsuyuzaki et al. 2014). The recovery of albedo was determined mostly by vegetation recovery (Tsuyuzaki et al. 2009). The recovery of carbon dioxide exchanges is quick in a burned black spruce forest (Iwata et al. 2011). In 2006, we went to ANWR (Arctic National Wildlife Refuge) where permafrost is distributed. We measured vegetation on and around palsas in the tundra (Tsuyuzaki et al. 2008). Now we have a plan to integrate the revegetation patterns of taiga and tundra by using burned sites in tundra (Tsuyuzaki et al. 2018) and taiga (Tsuyuzaki et al. 2013). The first step is the accurate estimation of biomass changes (Kushida et al. 2009). 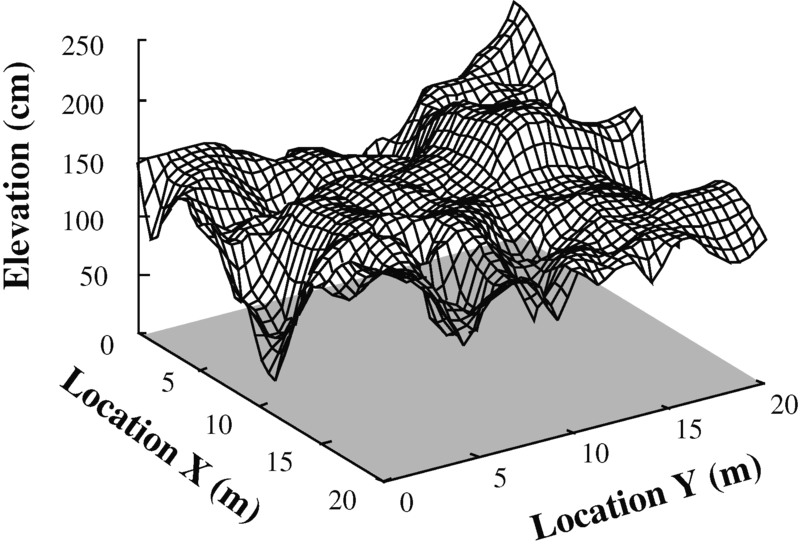 A gully surveyed (Tsuyuzaki et al. 1999). I went to Siberia twice, and this survey was conducted in the first year. 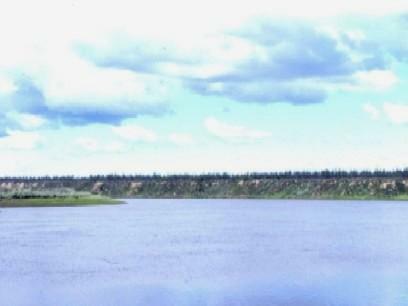 Measured the relationships between methane flux and vetation types near Kolyma River (Tsuyuzaki et al. 2011). A mosquito came into my eye. It was in imminent danger, because we might not return by the coast covered with floating ice. Then, I got Dr. Sato's wise remarks, "The nature of Siberia has been kept by mosquitoes." At that time, I wanted to say "Give me job, if you feel...". Everbody said my shoulder was crying. Certainly, nothing was good when I went back the university. Tropical peatland - What is this? 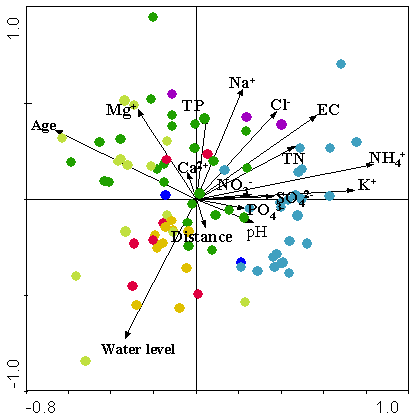 The vegetation patterns was explained by the distance from rivers (Mirmanto et al. 2003) and seedling establishment was related to microtopography in peat swamp and heath. I can not find out any photos that show Canadian wetlands. I guess this job will have not been published, perhaps forever). 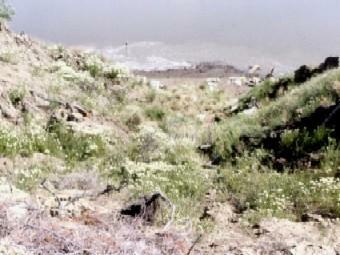 Wetland developed in the 4th Crater on Mount Usu in the 1977-78 eruptions is very quick and fast (Tsuyuzaki 1997). 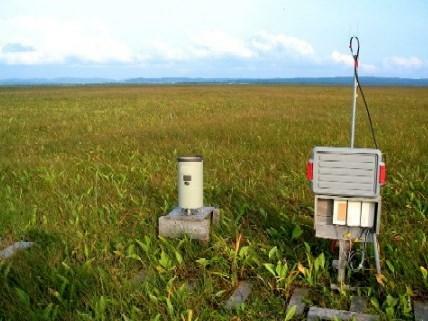 We showed the importance of scale-dependent environmental factors by the survey in a part of Kushiro mire (Tsuyuzaki et al. 2004). Basically, the researches were conducted by Kimura. We found out a huge seedbank in the swamp after a prescribed fire (Kimura & Tsuyuzaki 2011). research site in Sarobetsu wetland. A weather station is established close from here. We can see a weathercock is spinning. 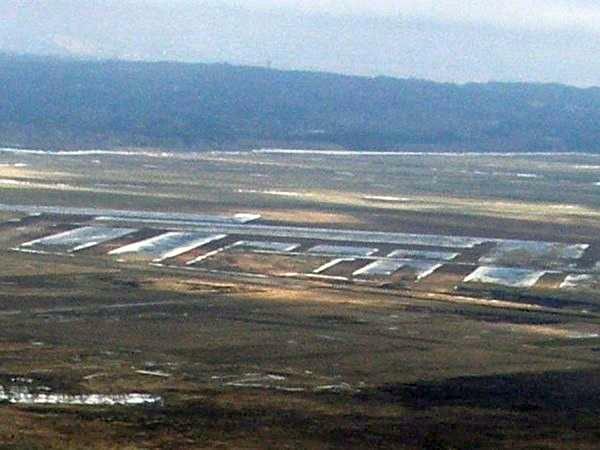 the post-mined peatland seeing from an airplane (supported by Asahi Newspaper) on April 4 2006. The abrupt boudary between plant communitites was described in Kiritappu mire (Tsuyuzaki & Haraguchi 2009).